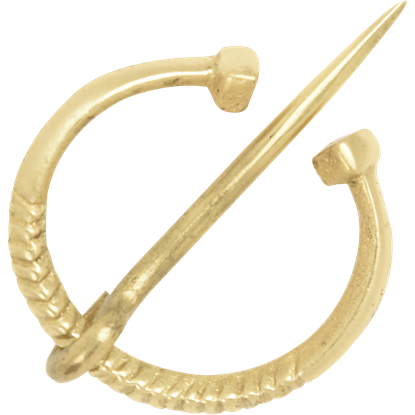 Accent your cloak, cape, shawl, or even a tunic with the Historic Penannular Brooch. This open ring cloak pin is handcrafted from wrought iron and has a twisted texture interspersed through its round frame and moveable, tapered pin. 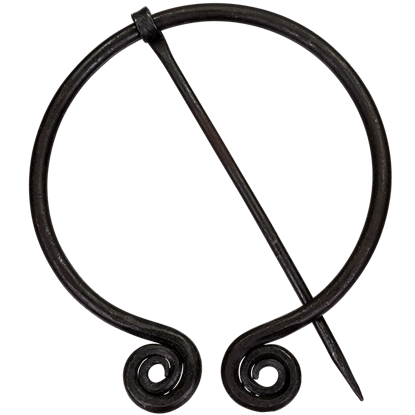 Secure your cloak, tunic, or other medieval and fantasy clothes with the Large Twisted Penannular Brooch. This historical brooch is an open ring of wrought iron accented with twists. Its long, captive pin tapers to a point. 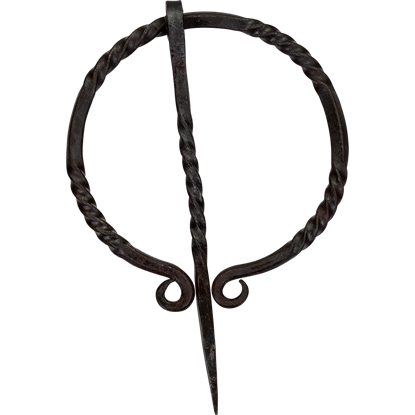 The Large Viking Penannular Brooch adds function, interest, and authenticity to your reenactment, Ren faire, or LARP look. This historical open ring pin is handcrafted from wrought iron and is ideal for fastening a cloak in place. Fasten your cloak, jacket, or tunic with a touch of woodland elegance. 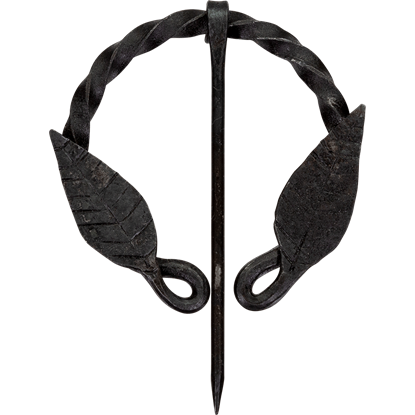 The Penannular Leaf Brooch is handmade from wrought iron. 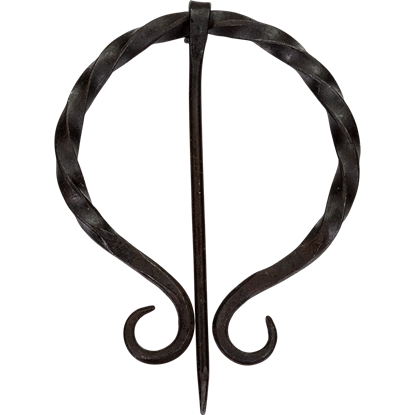 The round shape of this cloak pin has a spiral twist throughout, then ends in large, carved leaf accents. The brilliance of early peoples is often overlooked. Medieval Europe saw the nascence of a popular style of brooch, called penannular, that is still in use today. 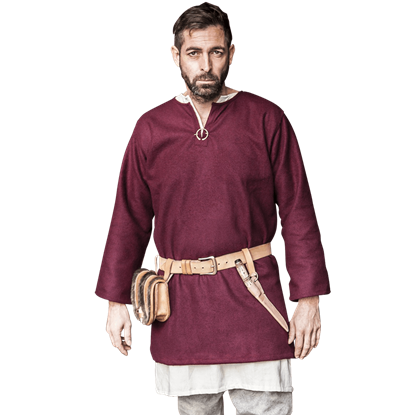 The Small Viking Brooch Set recreates early incarnations of this item. 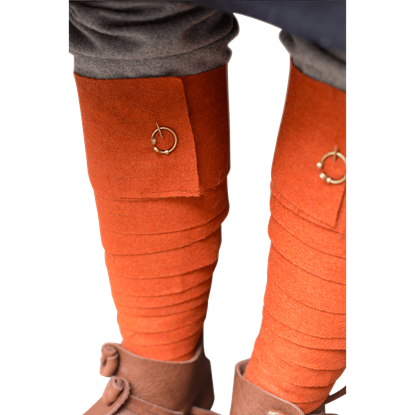 When you wear your favorite cloak, fasten it in historical fashion with the Twisted Medieval Cloak Pin. This penannular brooch has a twisted, open ring as its frame, and its terminals each end in a tapering, ring-wards curl. 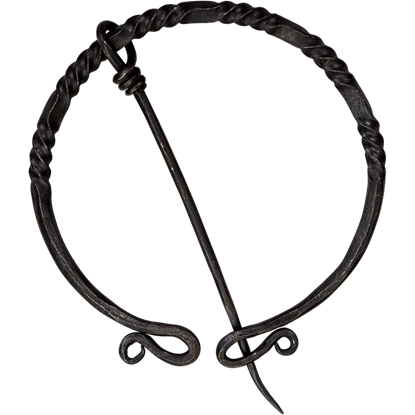 Keep cloaks, tunics, jackets, and more securely pinned and authentically accessorized with the Twisted Viking Penannular Brooch. 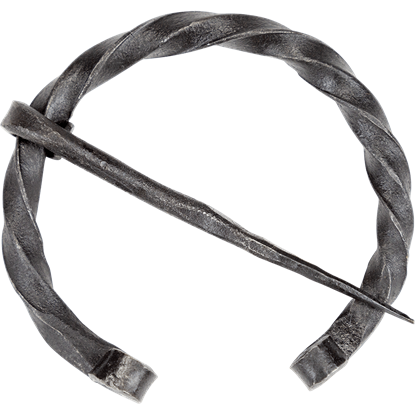 This hand forged, wrought iron Viking brooch is twisted continuously until the ends, which end in curls.